Houstonians love tacos, whether it’s for breakfast, lunch, dinner…or second dinner. 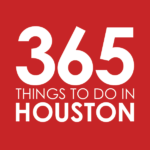 Another thing Houstonians love? Three words: Taco. Tuesday. Deals. To help you get the most out of your Taco Tuesday, we’ve put together a list of our favorite Tuesday specials around, and we’ve included some other daily taco and happy hour deals for good measure. From all-day $1 Taco Tuesday deals to $3 gourmet numbers offered during happy hour, here’s where to get your tacos on in Houston. Beer Market – With one location in Montrose and two more set two open (Heights, Midtown), this beer-fueled hangout is as popular as ever. Especially on Tuesdays, when tacos are $2 a pop (3 per order) and Texas drafts are $3. Choose between flavorful options such as short rib, Gulden Draak chicken tacos with slaw or Love Street chicken tacos. Tuesday 2pm to 11pm. Click here for directions. Christian’s Tailgate – Cheap beers and pub grub runs the game at these cult-favorite sports bars. And on Tuesdays, that pub grub brings $1 tacos at all locations (Downtown, Energy Corridor, Heights, and Midtown). Get extra deals during happy hour (2pm to 7pm), when domestic brews and well drinks are just $2.50, pitchers can be had for $7.50 and wines by the glass are $1 off. Taco special runs Tuesdays from 2pm to close. Doc’s Motorworks – Stragglers can move their Taco Tuesday to Wednesday for $1 Hump Day tacos at this Montrose hangout. Crispy tacos come stuffed with chicken, beef or bean and cheese alongside specials like $2 Tecates and $6 margaritas. Wednesday 11am to midnight. Click here for directions. Eight Row Flint – Named after the variety of corn that is believed to be the first that used to make American whiskey, this revisionist icehouse is known for its extensive selection of whiskey and housemade tacos. And at happy hour, that’s no different. Dig into $3 tacos, all made on from-scratch tortillas and plump with things like braised 44 Farms beef cheek and Gulf shrimp with sesame salsa; and sip some $5 cocktails while you’re at it. Monday through Friday 2pm to 6pm. Click here for directions. Fiesta Tacos – Breakfast taco lovers can start their morning with $1 tacos on Tuesdays, Wednesdays, and Thursdays at this taco haven (limit 12 per person). Get them in flavors like bean and chorizo, papa a la Mexicana, bacon and egg, and spinach and egg. Tuesday through Thursday 6am to 10am. Click here for directions. FM Kitchen – FM Kitchen offers a Tuesday taco two-fer, with two tacos for $8, plus a side of rice or beans for $2 if you so please. Choose from options like blackened grouper with pineapple mango salsa and avocado crema, pulled pork with coleslaw and pickles, chicken chimichurri with black beans, and steak with pico, refried beans, and grilled jalapeño. Tuesday 4pm until the tacos run out. Click here for directions. Fusion Taco Heights – The Heights location of Fusion Taco has gone a bit loco and decided to offer its gourmet tacos for $2 every Tuesday. Take them down in flavors like Tex-Mex angus steak, lamb keema, and grilled Thai chicken alongside margaritas and pints of Eureka Heights’ Buckle Bunny Cream Ale for $2. Tuesday 3pm to 10pm. Click here for directions. Irish Cowboy – This sprawling Downtown patio packs a stage for live music, outdoor bar with TVs, and plenty of seating. It’s also dog-friendly and offers cheap daily specials, meaning it almost always packs a crowd. On Tuesdays, nosh on $1 mini tacos with choice of beef, chicken fajita or pulled pork (minimum order 3 tacos) alongside $3 Coronas. Tuesday 3pm to 10pm. Click here for directions. La Calle – Hit this poppin’ Downtown taqueria to get dollar street tacos every Tuesday. Tuesday 7am to 10pm. Click here for directions. La Grange – On the first Tuesday of every month, this Montrose party bar and restaurant gifts you a free taco with every adult beverage purchased. Select Tuesdays 4pm to 10pm. Click here for directions. Luna y Sol – Hit this fan favorite taqueria and Mexican grill for $2 tacos every Tuesday. Options range from chicharrones and pulled chicken mole to pork adobo and ground beef picadillo. The special is good on all tacos except the breakfast varieties, and Luna also offers a bar bite menu with $6 appetizers and drink specials from 2pm to 6pm. Tuesday 11am to 9pm. Click here for directions. 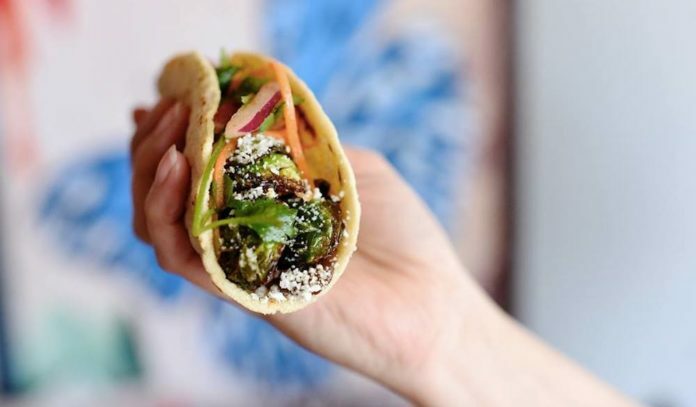 On the Kirb – Hit this organic eatery and sports bar near Rice Village to fill up on $2 organic chicken and beef tacos on flour or corn tortillas. Tuesdays 11am to 11pm. Click here for directions. Onion Creek – Taco Tuesday means 2-for-the-price-of-1 breakfast tacos at this super chill Heights hangout. Tuesdays, 7am to 11am. Click here for directions. Pistolero’s – The taco and tequila temple in Montrose offers every taco for a buck each and every Tuesday. Get them stuffed with things like beef cheek barbacoa, chicken fajita, achiote pork al pastor, blackened catfish, and grilled shrimp. Bonus points if you visit during happy hour (4pm to 8pm), when house margs and sangria are $4, drafts are $1 off, and apps are $6. Tuesday 4pm to midnight. Click here for directions. Revelry on Richmond – Tuesdays are for “Trivia, Tacos Y Tequila” at this Richmond gastropub and party spot. Get $3 tacos with your choice of meat (fajita chicken, fajita steak, fish, shrimp, and braised short rib), all served on corn tortillas and topped with red cabbage, queso fresco, pico de gallo, jalapeño aioli, and avocado; sip $5 infused tequilas (in flavors like honey hibiscus, pineapple chile, and strawberry); and compete in Geeks Who Drink Trivia beginning at 8pm. Tuesday 11am to midnight. Click here for directions. Saint Dane’s Bar and Grill – This relaxed sports bar and patio packs a double punch of fun on Tuesdays, offering $1 tacos all day beginning at 4pm and tacking on karaoke by night. Get the tasty treats stuffed with beef fajita, chicken fajita, shrimp and/or fish, all stacked into your choice of corn or flour tortilla. Tuesday 4pm to 2am. Click here for directions.